The chicken drumsticks with eggplant and lentils recipe is a favourite of ours and I wanted to come up something else that I could do with drumsticks. Chicken and mushrooms are a great combination and so the idea of a mushroom sauce was born. Rather than thicken the sauce with flour or starch, I’ve gone with onions and leeks. The butter gives you a nice creamy finish. 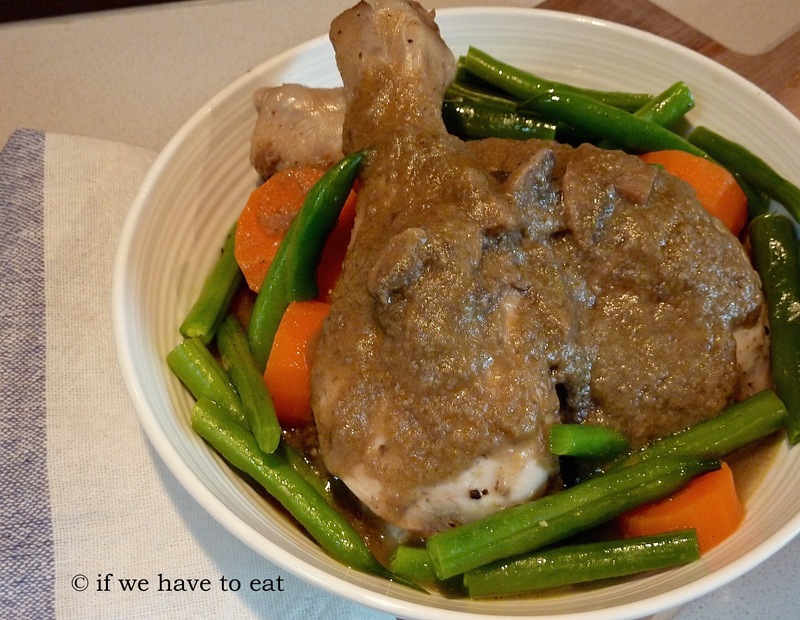 This entry was posted on April 6, 2014 by ifwehavetoeat in Mains and tagged Mains, Poultry, Recipe, Thermomix, Varoma.